﻿ Who will be the next Real Madrid manager? 13.02.2018 » Who will be the next Real Madrid manager? It looks like the days of Zinedine Zidane as Real Madrid manager could be approaching the end after quite a disappointing season so far.... Check out a few possible replacements for the French legend. 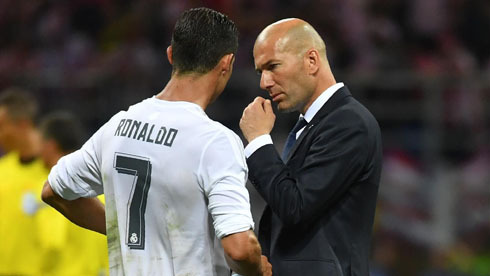 As Zinedine Zidane seems to get closer to the end of his Real Madrid experience as manager after his last disappointing performing, the posing question is: who is next in leading Los Blancos? The Spanish titans have been struggling quite a lot this season and things have been particularly bad domestically, both in La Liga and in the Copa del Rey. As of today, Real Madrid are 4th in La Liga and out of the Copa del Rey, while Barcelona are leading the league standings, 7 points clear of second-place Atletico Madrid. If the disparity doesn't narrow, we are about to witness the end of Zinedine Zidane's Real Madrid managing career. In a recent press conference, the Real Madrid manager, who earlier last month celebrated his 2-year anniversary as the Spanish giant's team leader, has declared that the loss against Leganes was his worst coaching moment so far. 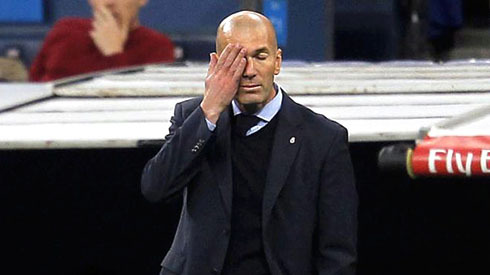 The match in the Copa Del Rey was the lowest point of Real Madrid's evolution under the Frenchman and maybe the last drop that could eventually dictate the end for Zizou as Real Madrid manager. 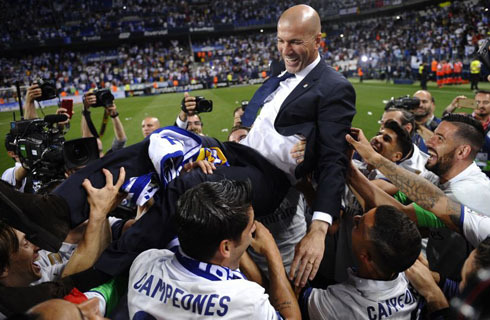 During his two year period as Real Madrid manager, Zidane has collected no less than 8 trophies, including 1 in-house Spanish title, consecutive Champions League triumphs and five of eight only in 2017. This could make you think that it is enough to keep as Real Madrid manager for quite some time, but when it comes to the Bernabéu, nothing is ordinary. The high demands are at home on Real Madrid's manager bench and no second chances are given. Los Blancos have played nearly half of the 38 La Liga disputes and they are already feeling the title hopes went down the drain a long ago. The Champions League is the only major title that the Spanish team could hope for this season, but since there's no manager that has ever succeeded a hat-trick in the history of the European Cup, things will be tough. Actually, you can bet on that right now checking football odds today provided by experts. Looking back at the managerial history of the club, José Mourinho is the only three-year lasting manager of Real Madrid, since the time of Vincente del Bosque. The upcoming major encounter on Valentine’s day against PSG, is not helping Zinedine Zidane hopes in keeping his position as Real Madrid manager, as it's going to be a very tough match against one of the strongest teams in Europe in 2018. Some names from the Premier League have already been talked about for the potential opening. Who do you think would do better as the next Real Madrid manager? Mauricio Pochettino – He has become the Southampton and Tottenham's magician and could be a long waited front-runner manager for Real Madrid. However, it is very difficult to picture him leaving in mid-season, not to mention that Tottenham recently moved into a new stadium and are behind a very ambitious project. Joachim Low – He is mainly known and respected for leading Germany to recent glory. His biggest battle so far was to deliver his country their first World Cup ever since the country's unification in the 90's. An invitation to the Real Madrid bench could very well convince him to take on a different challenge and embrace a new journey. Antonio Conte – It is a tempting bet considering Conte's future possibility to take over the Spanish giants. After his succesfull debut season with Chelsea in the Premier League, his market value went up considerably. His past experience in the Serie A and also with the Italian National Team could help him making a stronger case if his name is ever suggested to become the next Real Madrid manager. Cristiano Ronaldo next game for Real Madrid is on February 14 of 2018 against PSG. You can watch Juventus live stream, Real Madrid vs PSG, Copenhagen vs Atletico Madrid, Basel vs Manchester City, Juventus vs Tottenham, and Borussia Dortmund vs Atalanta, all matches provided from our live football game pages.